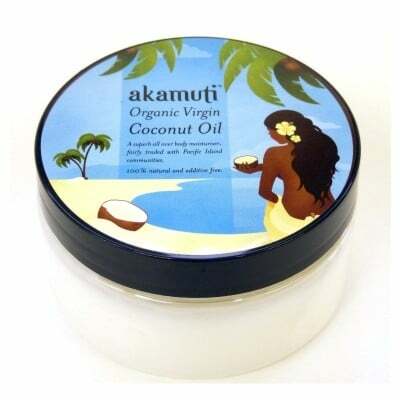 This light, silky face cream is a wonderful skin conditioner, especially suited to sensitive & mature skin. Rich in Vitamin E & A and packed with skin caring nutrients its special ingredients include apricot & evening primrose oil to keep your skin supple, while raspberry & hazelnut oils provide a bountiful source of antioxidants for maximum skin health & nutrition. This day cream helps the skin to retain moisture and maintain its elasticity by providing a rich source of essential fatty acids. Deliciously scented with organic chamomile, geranium, patchouli & beautifying rose otto. Recommended Skin Type: Normal, Dry, Mature, Sensitive. Directions for use: Apply a tiny amount to a clean fingertip and apply. This is a very rich cream & a little goes a long way. 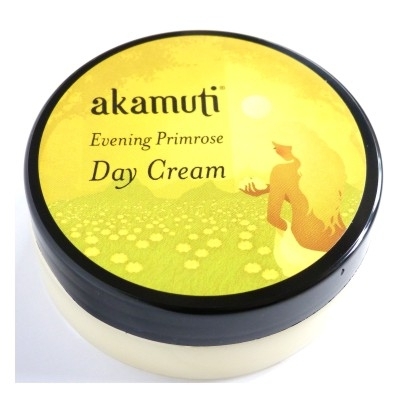 Normally 1 -2 applications a day will be sufficient but go with the way your skin feels - if it laps it up readily apply a little more!You might like to use this moisturiser in conjunction with Akamuti 'Organic Orange Blossom Facial Toner'. Ingredients: Apricot Kernel Oil (Prunus armenica), Evening Primrose Oil (Oenethera biennis), Organic Beeswax (Cera alba), Raspberry Seed Oil (Rubus idaeus),Hazelnut Oil (Corylus avellana), Chamomile Essential Oil (Anthemis nobilis), Geranium Essential Oil (Pelargonium graveolons), Patchouli Essential Oil (Pogostemon patchouli), Jojoba Oil (Simmondsia chinensis), Rose Otto Essential Oil (Rosa damascena). Every product Akamuti makes is handcrafted from start to finish from individual ingredients by real people (not machines!) They start off with chunks of beeswax; slabs of tree butters; loose herbs, barks, resins & flowers; jugs of golden oils & aromatic distillates. They then infuse, filter, melt, pour, strain, mix & stir to create beautiful creams, moisturisers & butters for you to enjoy at their best. Absolutely no chemicals are added at any stage! Everything is made in small batches to ensure you receive your products as fresh as possible, with as much shelf life as possible.